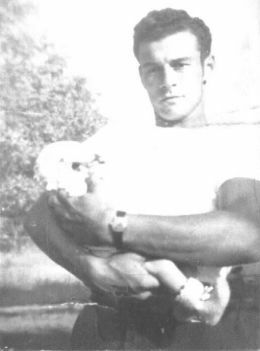 January 12th was my father’s birthday; he was born in 1929. His mother was fifteen years old and delivered her firstborn on the kitchen table. She would always tell the story without apology or regret. The next day, Wyatt Earp died. Dad used to joke that the world could only handle one hard-nosed tough-guy at a time. He might’ve been right about that; he was a boxer and wrestler before I ever knew him and had a reputation for fierceness. He went through life with a two-fisted determination and it’d take a fully loaded Euclid dump truck to stop him. His father’s name was George Howard, but was known to all as Howard, which happened to be his mother’s maiden name. Dad’s birth certificate reads Howard Kenneth; as a child everyone called him Junior, but that ended when he started high school. He had a rather straightforward confrontation with a teacher and made it clear that he was to be called Ken; from then on it was a settled matter. 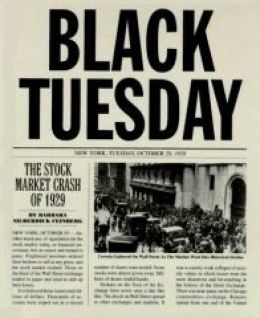 Ten months after my father was born the Stock Market crashed and worldwide economic upheavals soon followed; what history refers to as the Great Depression set in. 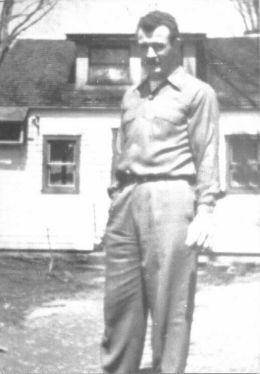 Dad’s early years were spent on a little farm off of Thorold Road in Welland, Ontario. He had three siblings: Joyce, Janet and Jerry. My paternal grandmother, known as Nanny, was blonde and fair-skinned, as was Uncle Jerry, but Dad and his sisters each had dark hair and complexions like their father. The first school Dad went to was Quaker Road School, which still exists at the same location, though it is no longer recognizable as a one-room schoolhouse. Economic times were difficult, with little or no money coming in to sustain the household. Everybody worked and contributed to the daily task of scratching out a living. The children learned to shoulder responsibility whether they liked it or not. Nanny told us about the family pitching tents along the Welland River during the summer months and living off what they could catch, grow or scrounge. It was about making ends meet and feeding everyone, but for the siblings there must have been an element of adventure. 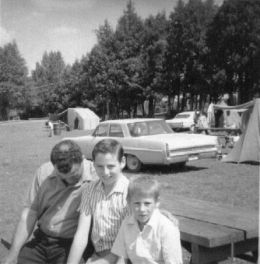 In the summer of 1967 Dad and his brother were fishing near Cold Lake, Alberta where Uncle Jerry was stationed in the Air Force. Sitting in a boat or around a fire, they told stories about their childhood, laughing all the while as one tale led to another. I was eleven years old and it is one of the few times I can remember them being together; it is a precious memory. Just before Dad’s teen years, the family moved to Berkley Avenue in the village of Humberstone, which in 1970 would be amalgamated into the city of Port Colborne. He worked at odd jobs, but soon discovered that he had the drive and athletic ability to earn money as a pugilist. It was the 1940s and scrapping was a respectable proving ground. For Dad it started with pick-up fights where wagers were placed and the one left standing took the lion’s share of the pot. These were bare knuckle affairs and it was apparent that he had quick hands and a natural competitive instinct that gave no ground; when it came to a knock-down drag-out there was no milk of human kindness in him. 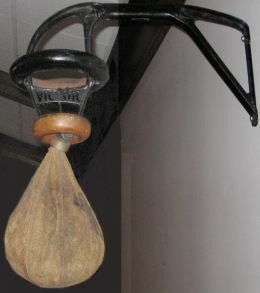 That flair for boxing was tempered and developed in a local gym under the tutelage of a trainer. By the time he was fifteen years old he’d dropped out of school and was fighting in clubs for small purses. He had a manager named Butters who turned out to be a skunk and scam-artist. To circumnavigate the rules, Dad would often be announced in the ring under an assumed name. He was booked on fight cards as far away as Buffalo, NY. He had a box of newspaper clippings about his bouts; I remember one evening when I sat at the top of the stairs while he squatted in the cubbyhole and sorted through them telling me about each one with a wistful twinkle in his eyes. Somewhere along the way that box has been lost, but those clippings are not forgotten by me. Butters kept promising a big payday, but he was a two-bit hustler who was cheating his client. The business partnership did not end on good terms; it was a left-right combination that gave Butters a taste of my father’s fists. The early autumn of 1947 was the beginning of the end of my father’s boxing career. The blow happened at a drafty barnlike structure at the intersection of Elm and Killaly Street West in Port Colborne. It did not come from a sweaty opponent in the squared circle; it was the flashing smile of a raven-haired beauty named Barbara June Major that struck him on the chin and in this case, it turned out he had a glass jaw. Humberstone was Ted “Teeder” Kennedy’s hometown. 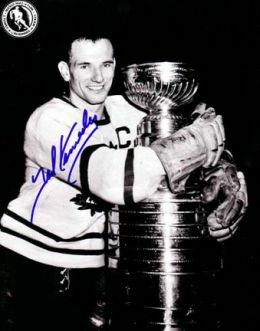 Before he won Stanley Cups with the Toronto Maple Leafs he honed his hockey skills playing in the building where my parents met. The structure, on the corner of Elm and Killaly, was an arena in the winter that doubled as a roller skating rink the rest of the year. Barbara was skating with some friends; Ken was just hanging out looking for trouble of one kind or another. What he found was love. There was a near instantaneous attraction; depending on whose version of the story one believes, Ken either walked Barbara home that evening or she flirtatiously refused and he had to go talk to her father the next day. There were problems with the relationship immediately; not between Ken and Barbara, but her family had some serious reservations. 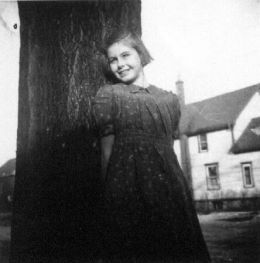 And surprisingly enough, it had nothing to do with the fact that she was only sixteen years old. Many years later, Grandpa and Grandma Major told me that because my father was swarthy looking they figured he was Italian which in their minds meant he was Catholic and being Baptists themselves, no daughter of theirs was going to marry someone who genuflected to the Pope. There was also the issue that he lived on the wrong side of the Welland Canal. All of which is kind of funny from this perspective of history. Barbara’s brother John checked Ken out and discovered some folklore surrounding him in Humberstone. My father had the nickname of Tarzan because he was an exceptional swimmer. A couple years before he met my mother, he had accomplished a feat that to my knowledge has never been successfully repeated. He swam under the bridge of the Weir Canal without getting hurt. To do so he had to hold his breath for over three minutes and maneuver around the grates and steel plates beneath the surface that opened and closed to regulate the level of water in the main channel of the Welland Canal. That story combined with his fighting prowess was enough for John. He vouched for Ken with the Majors, Pringles and Leslies. Uncle John and Dad became good friends and companions. They always hunted and fished together, poaching when it was necessary to provide for anyone in the extended family. If the truth be told, before being domesticated by family life, there were also one or two barroom scrapes that required them to punch their way out. On June 19, 1948 Barbara June Major married H. Kenneth Abell at the parsonage of the First Baptist Church in Port Colborne. She was seventeen and he nineteen; both had a lot of growing up to do. There were tensions over the years, but they were my Mom and Dad, and quitting on each other was never an option because of their wiring. Barbara had the same kind of determination, grit and stubbornness that made Ken such a good fighter, so their union was the classic immovable object and irresistible force illustration. They were oil and vinegar; everything had to be shook up for their relationship to work and be seasoned just right. 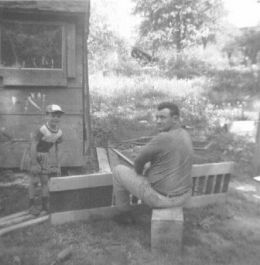 By 1955, when Dad wasn’t driving a dump truck, he worked as an open pit miner, first with Canada Cement, then at Port Colborne Quarries. He was a bluecollar working class hero who read constantly. Paperback books on a wide range of topics were always around our house and every morning he would purchase the Globe and Mail on his way to the job, and read it cover to cover during breaks in the day. The newspaper would be dusty and dirt-stained when he got home, but almost every evening while we had supper, he’d refer to an article and give us the details, then ask our input and feedback. It became clear to me very early in my life that it was important to keep track of current events because today’s headlines are tomorrow’s history. These kitchen table discussions often became turf-defending debates; one result is that the five of us—Jane Ann, Janice, Ken, Rob, Jennifer—are unable to walk past information without forming an opinion. I suspect that a blood vessel might burst in our head if we ever chose not to engage our brain while watching, reading or listening to the news. Dad meddled in politics by way of the steelworkers union. He organized at the grassroots level and fought to get the union established at Port Colborne Quarries. During the drawn out battle there were strikes, lock-outs and threatening actions involved on all sides. For a time he served as the local’s president. He was a ruthless negotiator who backed up his demands at the bargaining table with steely-eyed tenacity and the loyalty of his men. Physically imposing, he could pound home a point with all the delicacy of a jackhammer ripping up concrete. I am sure that his notoriety as a fighter, which may or may not have been embellished a bit, surely did not hurt when he went eyeball to eyeball with the shirt and tie management types. Underneath that fiery temperament beat a tender heart. He taught me much about toughness and tenderness; he encouraged me to daydream and watch clouds; he liked to sit around a campfire and talk about ideas; during a walk in the woods he could stop dead in his tracks to listen to a particular songbird. 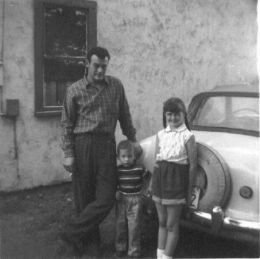 Dad had the biggest hands of anyone I have ever known. One of the sweetest memories I have is the image of him holding my hand as we walked across the street on our way to the hospital on the day my little brother was born. He was so proud and I was so happy; I remember thinking I could get lost in his grip. On February 15, 1971 Dad was killed in an industrial accident at Port Colborne Quarries. 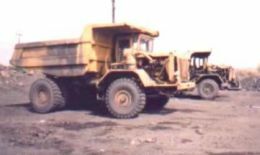 A Euclid dump truck, its box piled high with crushed stone, knocked him under its monstrous wheel; he was broken apart and died instantly. He’d just turned forty-two; not very old at all, actually. It was a cataclysmic event in our family with repercussions that still echo in our lives. I only knew my father for fifteen years, but his memory, his character and the stuff he instilled in me remains a part of who I am. Every year, somewhere around his birthday, I re-watch his favorite movie; one that I’d seen with him at drive-ins more times than I can know or remember. He loved On The Waterfront. I recall him telling me to pay attention at particular spots. In my kid’s mind the meaning of the movie was all mixed up; we lived near the waterfront of Lake Erie so I thought that had something to do with why he enjoyed it so much; then as an adult, I concluded it was simply because of the great acting and powerful story. In the last few years it occurred to me that it might’ve been special to him because he saw something of himself in Terry Malloy; the would-be contender who gets used up by his manager and misses his shot in the spotlight. Maybe my father struggled with feelings of failure or defeat, thinking that like Malloy, he had gotten a raw deal and a one way ticket to palookaville. If so, he’d have been wrong because time and truth walk hand in hand; he has a rich legacy of children, grandchildren and great-grandchildren who ask to hear stories about him. When I watch Brando as Terry Malloy in On The Waterfront, I thank God for my father, because he is the one responsible for my mental toughness and the tenderness of my heart. I never would have survived this long without the mental toughness, and without the tenderness, what’d be the point of surviving?